Ahead of his first Diamond League appearance the young 800m ace chats about his journey to the top, European Championships selection, and how he juggles his training schedule with a demanding degree. It is quite a feat to be able to compete on an international stage at major championships while winning junior global medals, before making a Diamond League debut at the age of just 20. 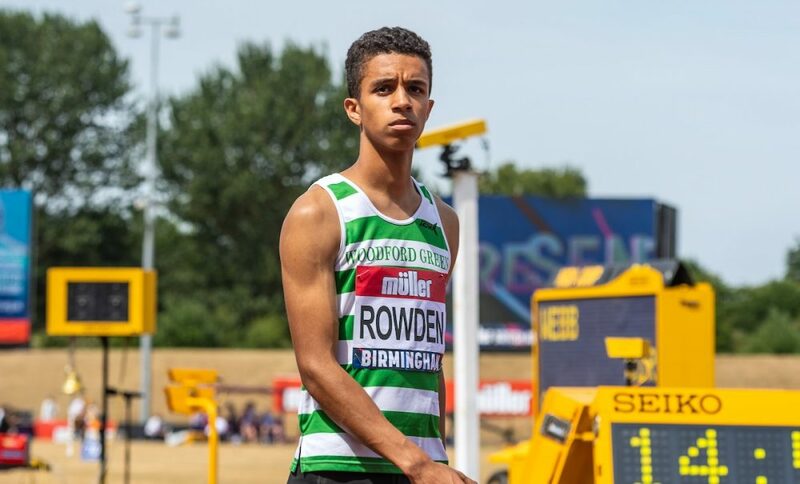 Incredibly that’s exactly what Woodford Green with Essex Ladies’ young 800m star Daniel Rowden will be doing at the London Stadium this Sunday afternoon (July 22) when he toes the line alongside Olympians and world leaders in the day’s blue riband event. What’s more, the prodigious talent is doing it all while juggling his athletics with a degree in Mechanical Engineering at the prestigious Imperial College in London. It has been quite a year for the New Balance-sponsored athlete, with Rowden running one of the fastest U23 800m times in British history (1:45.83 in June at the Oordegem track meeting in Belgium), as well as clinching the British Universities Championships 800m title and taking victory at the Loughborough International. 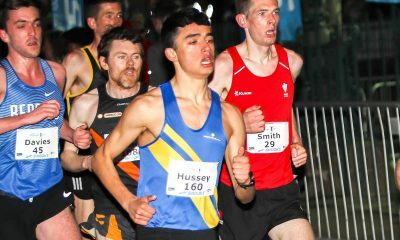 However, none of those scintillating performances compare to earning a much-coveted silver medal at the British Championships in Birmingham earlier this month, which earned him his first senior GB vest at next month’s European Championships in Berlin. 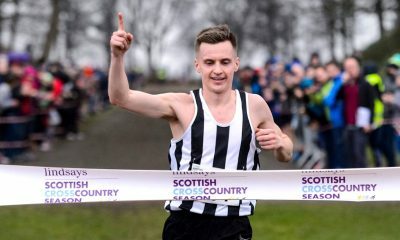 Fast Running talked to the multiple national age-group champion and 2017’s European U23 silver medallist about his journey to the top, how he juggles his hectic training schedule with a demanding degree, and why he hates cross country running so much! Fast Running: This weekend will see you competing in your first Diamond League in London. How are you feeling about that experience? Daniel Rowden: I’m incredibly excited! I’ve always wanted to run on that track. I was there as a 14 year-old in 2012 to watch the 800m semi-finals with David Rudisha and Andrew Osagie. I’ve been there (London) as a spectator for a few Anniversary Games, and I was there for every round of the 800m at last year’s World Championships. So to be able to race on that track in that stadium where the world record was set, in front of by far the largest crowd I’ll have ever experienced, will be very special. The field is going to be world class. It’s going to be quite different from any race I’ve done before, and the pace will be significantly faster. I want to make sure that I take the opportunity and hopefully get a new PB out of it. 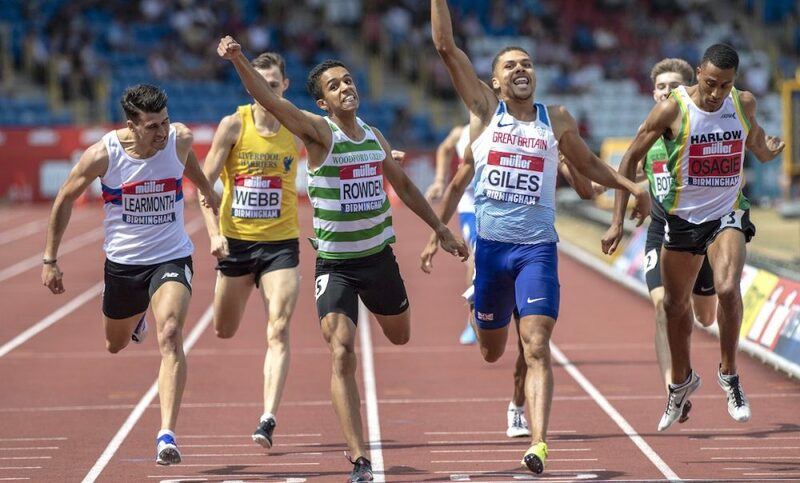 FR: You had a great run at the British Champs, where you finished runner-up to Elliot Giles (1:44.99 PB) – did you know you had it in you to medal, and qualify for the Euro Champs as a result? 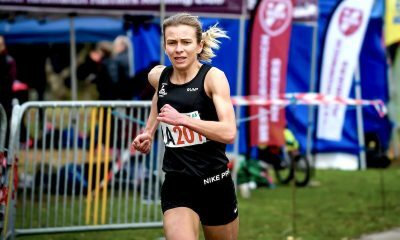 DR: I went into the British champs to win. I knew that the field would be very strong because there are so many guys with the European qualifying time. But I believed I had the tools to win. My racing and training had gone well so far this year and I had placed fourth the year before, so I believed that I was in with a shot at the title. So I was a little bit disappointed with second place. The race didn’t go perfectly for me and I made a few tactical errors, but with all that being said I am hugely proud and grateful to be able to get my first senior vest. FR: The Euro’s in Berlin will be your first senior GB vest, quite an achievement! How are you feeling ahead of the event? DR: I’m excited about the Euro’s! It’s always an incredible honour to represent my country and even more of an honour when it is at a senior competition. I’m looking forward to being in the same team as some very successful athletes that I have looked up to for the past few years. Training has been going well so I am feeling quietly confident. I don’t want to be there to just make up numbers and have a trial run at a big championships, I want to go there and mix it with the best. European 800m running is in relatively good shape at the moment. Gold, silver and fourth place at last year’s World Championships were all European, so I’m expecting it to be tough. But competitions and championships are my favourite part of athletics. I’m a racer not a runner. My aim is to make the final, because once I’m there it’s anybody’s game. I know that will be tough, but the way my season has gone so far it’s definitely a possibility. FR: How do you manage to balance your Mechanical Engineering studies at Imperial College London with training so successfully? DR: It has been really tough, by far the most challenging year of my life. My first term at university was really tough. I wanted to quit because the training and university work was so relentless. The work wasn’t too difficult, but it was just the volume of it that I was struggling with. My parents were a great support, but the only thing that really kept me going was my faith. I’m Christian, and my faith is the most important thing in my life. I had some real doubts about this season because my training had been all over the place. Imperial Sport were great to me but it’s not the sportiest university so I had to travel a lot for training. I think over the winter I trained with six different setups to try and fit training around my studies, which is far from ideal. I had doubts about whether this year would be successful, or whether it would be a huge flop. But I know that the God I believe in is much more powerful than that. If he wanted me to have a great season, I would, regardless of how difficult training had been. And so far, the season has far exceeded my expectations. But it took a lot of discipline. Lots of early nights to bed and lots of early morning sessions. FR: Who do you train with on a regular basis, and what does a typical week’s training look like for you? DR: At the moment I’m doing all of my track sessions at St Mary’s University. They’ve got a great middle distance setup, and my training partner from when I was at school, Canaan Solomon, is there. Those sessions have helped me out a lot. Before that, while I was at university I was training with Matt Yates and his group (The Run Yard) down in Battersea. I did quite a lot of sessions on my own too because of timings, which I really dislike, but you’ve got to do what you’ve got to do. Before that, I was with the cottage group down in Battersea Park for tempo sessions, and with Gladys Bird and the Woodford Green & Essex Ladies sprinters back home in Essex for my hill sessions. All over the place really! Leading up to an 800m race I do very little training. If it’s a Saturday race I’ll do some light gym work and an easy run on the Monday, a run and track session on the Tuesday, some easy runs on the Wednesday, some strides on the track on Thursday and then take Friday off. I like to go into races feeling very fresh and well rested. FR: Your coach is Richard Thurston – what is your coach/athlete set up like? DR: Richard is a great coach. He’s been with me since I was around 15 years-old. What I appreciate most is that he’s a great listener and loves to get my feedback on things to make sure that we are on the same page and aiming for the same things. He sets most of my training schedule. The only things that he doesn’t do are my gym sessions, which are set by Richard Blagrove (top strength & conditioning coach), and when I join in with other groups I generally do the sessions that they have been set. But usually, Richard will work with the coach of the group to make sure the sessions are right for me. He’s set some horrendous sessions in the past, with really short recovery and at a really fast pace, but I guess they’re what you have to do to reach the goals that you’ve set! FR: Do you cross-train at all? DR: I had a knee injury late last year that meant I couldn’t run properly for a couple of months, so I used a cross trainer to get some cardio in before I was fit enough to run. FR: Do you swear by any nutritional supplements or meals to get you ready for big sessions or races? DR: Not really. I like an expresso before a race to give me a little boost. And I like a Bolognese the night before but that’s just because I like Bolognese! I got some help with my nutrition and diet last year, so I generally stick to the advice I was given. FR: You ran your 1:45.83 last month in Belgium. How did it feel to take such a big chunk off your PB? DR: It was amazing. From the previous races in Belgium and Loughborough, I knew I had a fast time in me. But I didn’t think it would happen in the manner it did. I’m usually not that great at front running, unless it’s a slower race. But I just went for it from the gun and it paid off! FR: You won silver at last year’s Euro U23 champs. Can you tell us a little about that race, and how it felt to win such a major medal aged just 19? But I stayed patient and worked my way nearer to the front. At 150m to go I kicked and chased down the medal positions. I missed out on gold by 0.01s, but I’ve been working on my dip since then! It was an amazing feeling to be standing on the podium, and it gave me a lot of motivation for the winter. FR: You last competed on the country in 2015, and before that, you didn’t race very often off road – what are the reasons for this? DR: I really don’t like cross country! It’s too far, usually way too muddy for my long stride and usually just really miserable. I used to enjoy it when it was 3km at U13, but now the guys are running 8, 10 or 12 km! As much as I dislike it, it is great training and I’ll probably do some more for my university this winter. I’ve had a couple of niggles come about because of cross country, so my coach is never too keen. Usually during the winter I just train. No indoors, just preparation for the outdoor season. It may not be that unusual for a student to live on pasta meals and coffee, but Rowden is no ordinary student. Watch this space to see how the Richard Thurston-coached young buck fares against the world’s best on Sunday, aged just 20 years old.